Delhi : Prime Minister Narendra Modi has departed on a week-long tour of two of Europe’s biggest economies as well as Canada on Thursday. He is on his way to France first, then Germany and then cross the Atlantic to visit Canada extending his link west policy for the first time to all these three countries after his assuming office. His tour will cover a wide range of priorities with these countries focusing on trade, make in India, seeking investments and cooperation in fields from energy to security. More in this report. After strengthening ties with numerous countries under his act East Policy, Prime Minister Narendra Modi is on a three-nation tour to France, Germany and Canda on Thursday to give a new definiation to his link-west policy. It is hoped that this tour will not only reinforce and strengthen India’s ties with these nations but will also set milestone for India’s growth trajectory. PM Modi tweeted his expectations from exuding optimism. My France, Germany & Canada visit is centred around supporting India’s economic agenda & creating jobs for our youth. In the first leg of his three-nation visit, Prime Minister Narendra Modi will visit France where he lands on the 9th of April. It is one of the world’s leading economies, with a very sophisticated high technology sector. France has been a consistent supporter of India’s Membership of the Nuclear Suppliers Group. Apart from defence, nuclear and space, Prime Minister Narendra Modi is likely to discuss smart city and Railways sector. After the historic ‘chai pe Charcha’ with President Barak Obama it is now the turn of ‘naav pe charcha’ a boat ride Prime Minister Narendra Modi and President Francois Hollande will take together on River Seine. In the second leg of his three-nation visit Prime Minister Narendra Modi will reach Germany on 12th of April. Apart from holding bilateral talks global economic ties will also be discussed on priority. Prime Minister Narendra Modi along with German Chancellor Angela Merkel will inaugurate Hannover Industrial Trade Fair where CEOs of 120 Indian companies and 400 Indian companies will participate. European Union is not only the largest economic grouping in the world but is also India largest economic partner. Germany is the economic leader in the EU and Prime Minister Narendra Modi and German Chancellor Angela Merkel are likely to discuss Germany’s support in expanding exports from India to the European Union and attracting high level of investments from there. In the third and the last leg of his three-nation visit, Prime Minister Narendra Modi will visit Canada where he will be hosted by Prime Minister Stephen Harper. Soon after Independence, Canada was one of India’s most important developing partners and the economic ties between both the countries are expected to reach new heights. More than 12 lakh citizens of Indian origin reside in canada, who have immensely contributed in the country’s politics, education and economy. Prime Minister would reach out to the Indian community in Toronto and Vancouver the same way he addressed Indians in Australia and America. 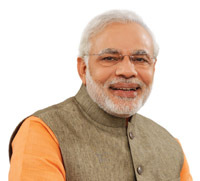 Prime Minister Narendra Modi will return to India on 18th of April. The week long tour will bring India and the three countries much closer in many fields. It is also hoped that the link west thrive will open a vista of opportunities for Make in India.